Football game? Corn maze? Pumpkin patch? Did you eat an entire roaster of caramel popcorn? No? I did. Well, I should say my family and I did. But I think I did the most damage. I have no willpower when it comes to caramel popcorn. Two of my favorite things in the world, uniting…it is heaven. 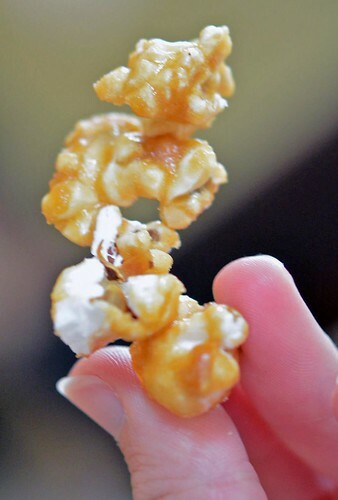 I, however, am a picky caramel popcorn eater. I refuse to eat the stuff that lives in those holiday decorative tins that claims to be caramel corn. It isn’t. It never was, it never will be. Oh and Cracker Jacks…you are not caramel corn either. Plus, your prizes inside the boxes, well…they kinda stink now too. Just sayin’. The pickiness can be blamed on my grandma. She made caramel corn whenever the urge struck. We had it for Christmas and for 4th of July fireworks. We had it as an after school snack and for weekend movie night. See, we were spoiled. It was awesome! I am now the maker of caramel popcorn. I gave myself this title this past weekend. 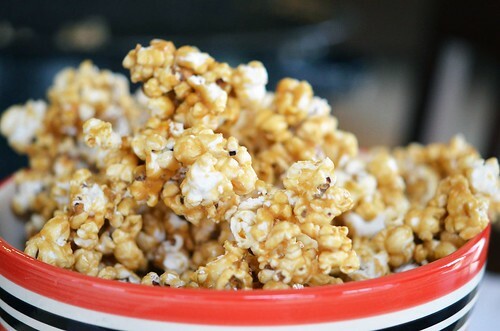 So, what makes this caramel corn so amazing? 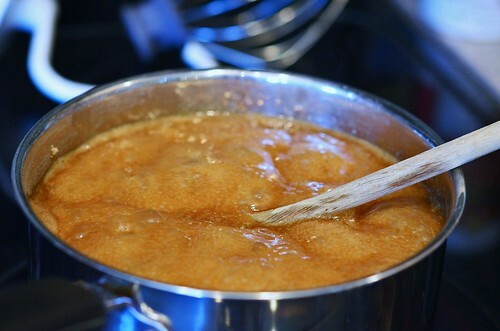 It is the caramel sauce. It is thin enough to coat each piece of corn, but thick enough to remain chewy. Even when it cools. Plus, it is super simple to make. 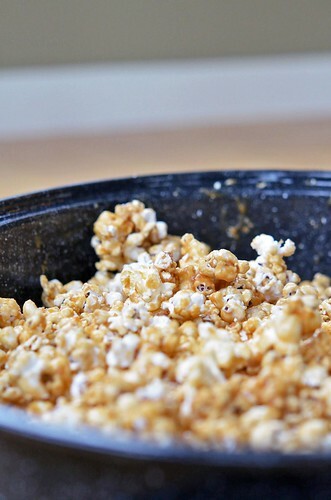 You must give it a try and forever give up the decorative tin caramel corn. Freshly popped popcorn. We are talking like 6 to 7 quarts of this stuff. 4 cups to 1 quart. Do the math. It is a lot of popcorn. I love it. Go ahead and use microwave popcorn if you want, just make sure it is plain. No movie butter or light butter or anything to do with butter. Just plain Jane popcorn. Or pop your own. That’ll work too. Bring it to a boil and let boil. Please be careful. It is hot. Stir in vanilla and baking soda when its done boiling. Baking soda? Yep. 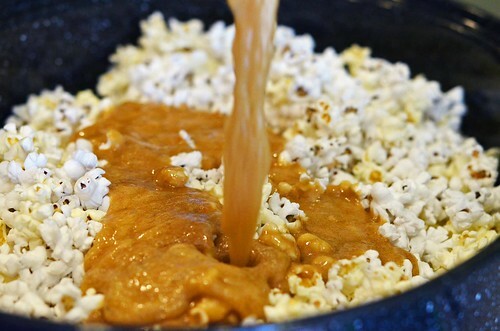 It helps the caramel thin out a bit and coat the popped corn. But it will cause the caramel to foam. So, please be careful. 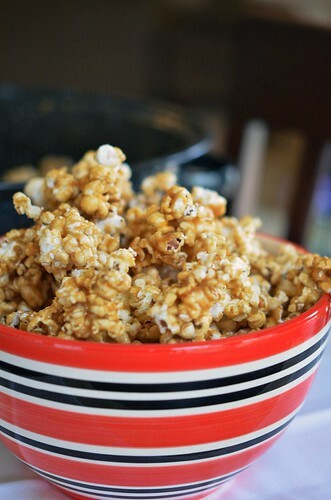 Bake it low and slow and after a few rounds of stirring…you are left with some of the best caramel popcorn you have ever eaten. Promise. And after it is cooled…you are left with these little clumps of caramely popcorn goodness. That counts as a single piece. Preheat oven to 200°F and place popped corn in a large roaster. Set aside. 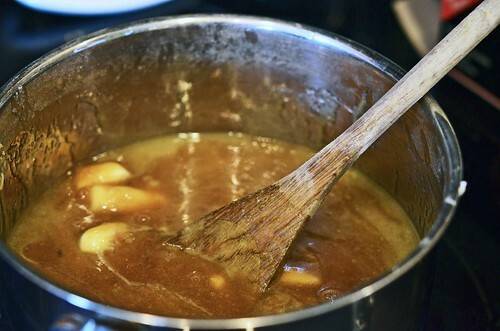 Place butter, brown sugar, and corn syrup in a medium/large saucepan over medium heat. Bring to a boil. Let boil for 5 minutes. DO NOT STIR during these five minutes. 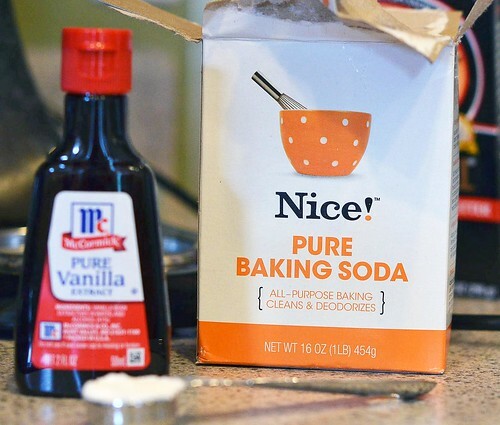 When the time is up, remove from heat and stir in baking soda and vanilla. Be careful, this will cause the caramel to foam. 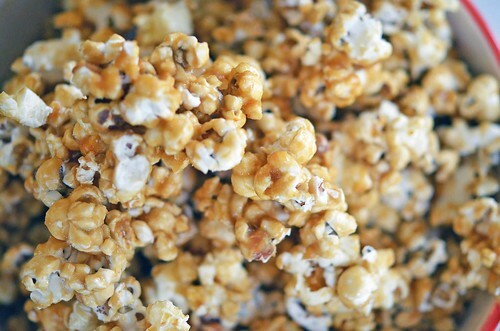 Immediately, pour sauce over popcorn in roaster and with a spatula or wooden spoon, stir to coat popcorn. Place roaster, uncovered, in preheated oven for one hour, stirring every 15 minutes. 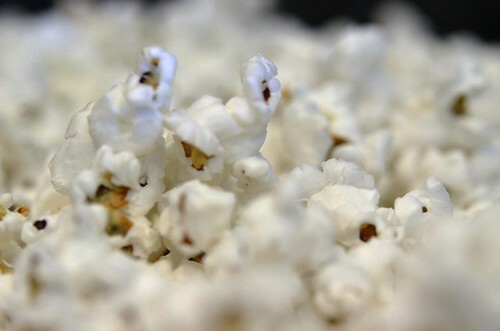 If you want a chewier popcorn, remove from oven after 45 -50 minutes. Eat warm or let cool completely before enjoying. It will cool and be rather stuck together, but it will break apart rather easily.